Nobody knows that I have a few secrets which very select people know, people whom I can very easily count on my one finger…yep just one finger, coz its that much private. 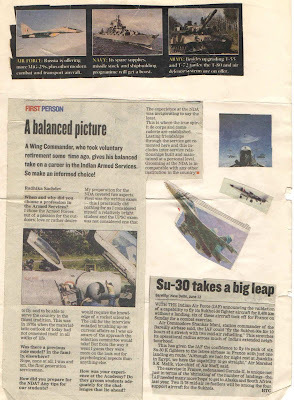 I had an article about the Indian Sukhoi 30 with me ( the very 1st generation ones, not the later MKI ones) and one day I just lost it. Just could not find it anywhere in the file, must have slipped out of it and gone into the morning broom cleaning. That got me thinking that I just could not afford any more “losses”. I needed permanent solution and that’s when I decided to stick them on A 4 size sheets. I did not want any wastage due to this new hobby so it was decided that I would use the blank backside of the wasted papers churning out from my printer ( I had a bundle of them. Save paper, save environment). Instead of fully pasting the whole article by glue, only 4 drops were applied to every article, one on each corner and pasted on one paper. Now they were beginning to look organized. Articles and cutting were in various sizes and shapes. If the article/ pic was small, it was checked against every ready sheet to see if it can be pasted on the leftover space in that sheet, otherwise a new rough sheet was put to use. For articles bigger than a single sheet, 2 sheets or more were joined by cello tape just like the pages of a book. The success of this keeping meant that I started on a few more sections- Nature ( pics of nature , cute birds or landscapes in newspapers), Misc. 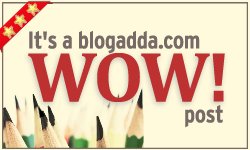 ( any interesting offbeat news) and my most fav. actresses- until the arrival of Katrina, it was preity zinta but she was replaced in 2003 by Katrina since her movie “ Humko deewana kar gaye” with Akshay. Arranging for waste A4 sheets, specific cello tape (only the one by Prime and no one else) and glue meant that it all required a lot of planning and concentration. It was my way of mediating and when I did that work, I met no one. Over the years time constraint means that I cannot pursue my this “ सनकी “ hobby regularly but even then I have many envelopes with cut out articles of defence and pics of kartina ready which need to be pasted. No picture is used twice, I know which ones I had. What started as a mission became a passion. My parents have a hint that maybe I keep all of them in different files in my bookshelf but they dare not touch it because they know that if even one page goes missing , it would be a nuclear holocaust for all. with me since 1989 when I couldnt handle scissors properly..